"They would not listen, they're not listening still, Perhaps they never will"
This chart is currently filtered to only show albums from United Kingdom. (Remove this filter). "From life alone to life as one, think not your journey's done. For though your ship be sturdy, no mercy has the sea. Will you survive on the ocean of being?" Wow, what a work of art. A criminally underrated album in my opinion, although Supper's Ready has been (rightfully so) acknowledged as one of the all time great prog tracks. That's certainly not the only bright spot on this record though. 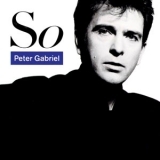 The opening track is an epic marvel, and Get Em Out By Friday is one of the more underrated and awesome tracks of the Peter Gabriel era. The production value is quite as strong as it is on the wonder that is Selling England by the Pound, but this album has a very unique vibe because of that. A masterpiece in its own right. Favorite tracks: Watcher of the Skies, Get Em Out By Friday, Supper's Ready. "But wouldn't you like to know the truth of what's out there to have the proof? And find out just which side you're on. Where would you end? In Heaven or in Hell?" Some may argue Powersalve, some may argue the Number of the Beast, some may even argue Killers, but MY FAVORITE has to be Seventh Son. 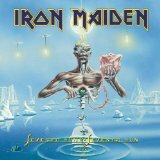 Maiden told an amazing tale about good and evil with this, their most progressive effort, in 1988. Bruce Dickinson's voice soars just like the records before it, but to go along with his famous operatic vocal style he introduces, on some songs, a rougher, raspier voice which give the songs a big boost. At one point Maiden said they would never use keyboards in their music, but I'm glad they did because the keys mixed with their famous guitars, bass, and drums make this albums one of my all time favorites. "I have crossed between the polls, for me there's no mystery. Once a man like the sea I raged, once a woman like the Earth I gave. But there is in fact more Earth than sea." 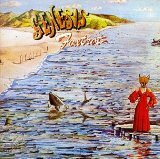 There's something special about Gabriel's Genesis, this record being the centerpiece of their phenomenal tenure. As you've already seen, Foxtrot edges this one out to me as it is a bit more cohesive, but the highlights on here are just as strong and beautiful. Dancing With The Moonlit Knight is one of the most amazing compositions in rock music. Anthemic, well-composed, engaging, musically stunning. Same goes for Firth of Fifth and the Cinema Show. The sing-songy fun of I Know What I Like shows the less serious side of the band while not losing an ounce of musicality. "The band is just fantastic, yeah that's really what I think. Oh and by the way, which one's Pink?" Okay so I've finally done it. Dark Side was in the Floyd spot from the beginning of this chart. Until now. Wish You Were Here is the essential Floyd album, and that really says a lot. WYWH is as close to a perfect album and listening experience as you can find, especially in rock. Top to bottom this album beats Dark Side by a little bit, and I would have no problem seeing Wish You Were Here in the All Time Top 10 albums list. 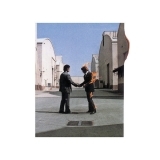 Favorite Tracks: Wish You Were Here, Welcome to the Machine, Shine On You Crazy Diamond. "Gotta walk out of here, I can't take it anymore. Gonna stand on the bridge, keep my eyes down below. Whatever may come and whatever may go, that river's flowing, that river's flowing." Peter Gabriel was a genius long before this album, when he dressed up in the red dress and fox head in Dublin, 1972 while fronting the legendary prog outfit, Genesis. 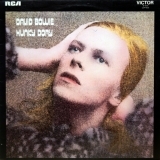 This album merely cements his legend as an artist, composer, and multi-instrumentalist. 'So' is the perfect mix of pop, rock, new wave, and afro-cuban. 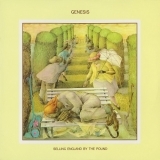 In my opinion, this record is better than any Genesis record after he left the band. 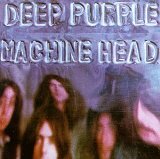 Even though I admittedly haven't listened to everything Deep Purple has put out, I think it would still be hard for any of them to overtake Machine Head as my favorite Purple record and one of my favorite records of all time. Ritchie's crunching guitar tone, Ian Paice's pounding grooves, and Ian Gillian's soaring vocals make every song on this album great. Trust me.. it's not just Smoke on the Water and Highway Star on this album. "And my brother lays upon the rocks, he could be dead, he could be not, he could be you. He's chameleon, comedian, Corinthian, and caricature." In the midst of changing up this chart, I knew the Zeppelin pick had to change, II is a landmark, but IV is just better and I enjoy it more. 'Zoso' marks the beginning of Zeppelin's prime and in my opinion, one of the greatest 3 album stretches in modern music. The songwriting is superb, detailed, and beautiful. The production is wonderful. The performances are nothing short of spectacular as always. Page and Plant shine like never before, Bonham and Jones lay down incredibly thick and thunderous grooves as usual. 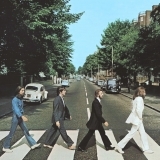 Classic rock masterpiece. 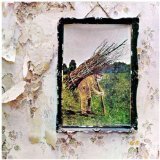 Favorite tracks: Black Dog, Stairway To Heaven, Battle of Evermore. A perfect mix of blues, rock, funk and jazz. 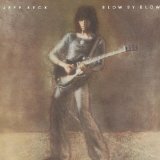 Certainly one of Jeff Beck's best albums, with amazing grooves, hooks, and melodies. This was one of those game changing records for me as a young drummer, and of course I still draw inspiration from it today. Really, a great listen and a lot of fun every time.